The Downsizer Corp in Santee, CA made and delivered a handful of its WSP models for a few years before SB15 became law and production stopped for good. I believe fewer than 100 pistols were delivered up to that point. Whatever the exact number was, it was’t very large. The WSP model received lots of positive reviews after they were introduced at the SHOT Show (1998, I think). There is a very detailed article by Robert Hausman in HANDGUNS 2001. Wow that’s awesome. It would definitely make a very versatile pocket gun. Pinfire is smaller. However, This is far deadlier. Want. It’s like a new age retro Liberator pistol. Sort of. I guess it’s awfully uncomfortable to shoot… o&u derringers must be better.Yes , it’s like the Liberator – it’s .45, but as effective as a knife. I would prefer in this dimensions a 4 or 3 barreled .22LR. Anyway, it’s a good work, a nice toy! Where is the bayonet mount? What are you supposed to do after you fire your one and only round? NAA already beat you to it, got a laser too. That Bayonet mount is epic lol. I want it. And rails! Where are the rails? Man, I want an ACOG on there, and a light, maybe a forward vertical grip. And it’s not black enough! Again, already been done with an NAA revolver. If it were gold plated I could see a villian assemblying this at the desk of his/her intended victim. I agree with Mr Evilwrench, the gun needs rails. So I read through the Bill… is this illegal in USA or just CA? Yeah so id I, and as far as I can tell, it’s fine everywhere else, just not in Cali. 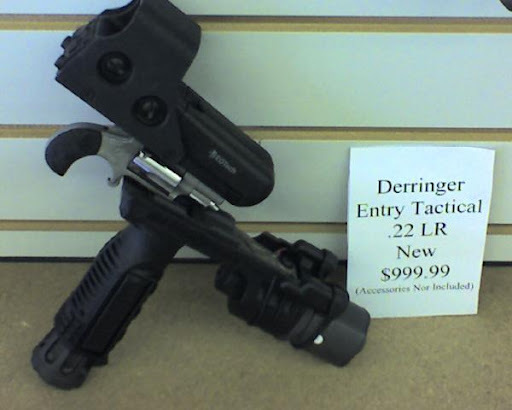 If we can have bond arms derringers and stuff then I cant see why this wouldn’t be legal. You know, everytime a interesting gun design comes around , some mentally unstable politician wants to ban it. What gives with these politicians? So perhaps there are other circumstances leading to the gun’s disappearance from the market. How to get one ? Please find me the way ! Thank You. donde la venden en mexico? I have a Downsizer WSP in 45ACP sr # 1xX. Yes it does hurt to shoot. 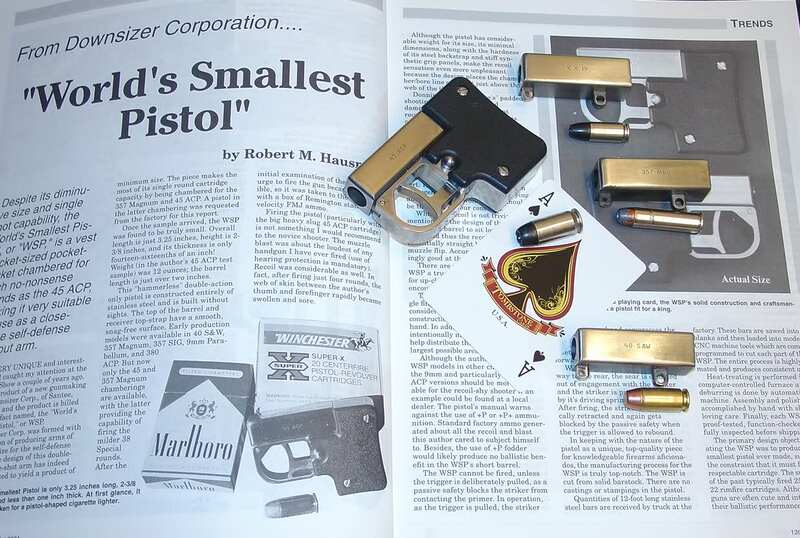 Very solid and well made little stainless derringer. Ordered mine in Jan 98 and finally go in Feb 2000. It was $350 back then…worth over a grand now. They are as Rare as hens teath. I have one of these. Not sure what the serial # is but the number is over 100. The company jacked me around for months until I finally got it. I live in California so the gun was shipped to me before it was finished completely (to register) and the sent it back for completion. That is where the problem occurred. Almost did not get it back, and no money to boot. But I got it and I do live in Callee at this point. Does anyone know the actual value of the gun? Mark i said it in my post Oct 2012 I made. they are as rare as hens teath so I ould say at least $1000. Just not that many out there. Good luck. Mine hurt to shoot. I have fired mine once, with a full power type load and had a bruise on my hand for a week. My gunsmith and I have loaded a primed case with a lead ball, and that is doable. You would not want to be hit with the lead ball, but probably not a fight stopper. 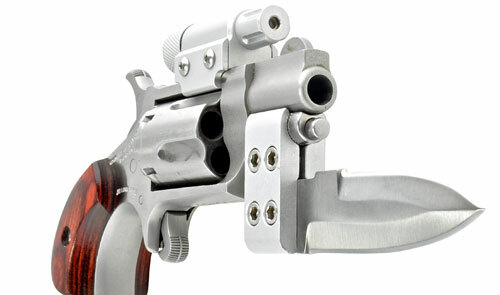 Has anybody who owns a downsizer pistol, found rubber grips for this gun? When I first got my gun, I thought I had read somewhere that a rubber grip option was available. I don’t think rubber grips would help unless it wrapped arounf the back of the grip. That would make the gun larger. Even so the pain comes from how you have to shoot the little beast. All the recoil goes into the web of your hand between your thumb and pointing finger.. Mine hurt for a week too. If I ever decide to shoot it again I’d use some bicycle gloves. I bought mine in May 2000, after talking to Mr. Chapman at the SHOT Show. I fired seven shots, from a 115-gr. alloy hollow point to a 230-gr. GI Ball, for a review article in Dillon’s Blue Press. After the first shot, I knew i’d made a serious mistake. After seven shots, I was shaking so badly, it took one whole hour before I could resume shooting for another review, on a Para .45. Several weeks later, I sold the gun to a large Polish individual who had fired one shot from the WSP and exclaimed, “I love this gun. I must have this gun!” He’s welcome to it. I am no longer and owner of a downsized. I sold mine about 3 weeks ago through my local gunshop. They auctioned it off, so I did ok even though paid 20% to do it. It sold for $895.00. Made more than what I paid for it several years ago. Yes, the gun hurts the hand to shoot. I now have a 22 mag pug mini revolver and love it.